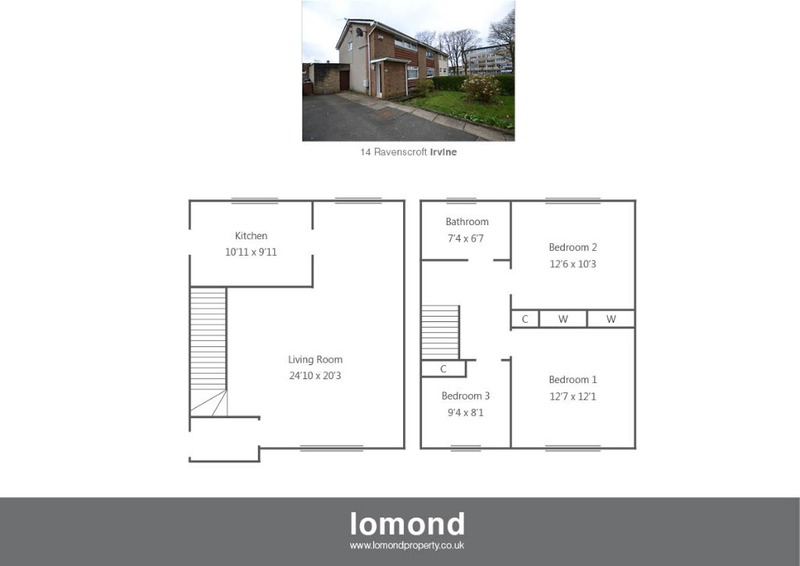 14 Ravenscroft as a rarely available semi detached villa situated within close proximity to the town centre and locals schools. The property has been upgraded throughout comprising three bedrooms, spacious open plan lounge diner, kitchen and family bathroom. Externally the property comes with front and rear gardens, off street parking, and a separate lock up /garage. In summary the property layout extends to an entrance vestibule leading to the spacious (24’10 x 20’3) open plan lounge/diner with stairs to the upper level, and stylish décor throughout. To the rear of the property the galley style kitchen is well stocked with floor and wall mounted units, integrated electric hob oven and hood. The kitchen in turn allows access to the rear garden. The upper level houses three bedrooms, two of which are doubles and a family bathroom. Each bedroom features fitted storage space. The family bathroom as a recent upgrade comes with bath electric over shower, WC, WHB all finished to modern wet wall panelling. Externally the property comes with front and rear garden with off street parking to the front. There is a separate lock up/garage adjacent to the property. Ravenscroft is a pleasant residential area. Irvine town is close by and provides access to a range of amenities including supermarkets, bars, restaurants and town centre shopping. There are a number of local primary and secondary schools within the greater Irvine area.